Halloween is approaching, but this summer has been scary enough. Three different stories of recovered human remains ran the same week in our local news. All of California seemed to be on fire. Particularly upsetting was the Big Oaks Lodge Fire, an apparently accidental inferno that gutted the legendary biker bar on Bouquet Canyon Road. Death and disaster are terrifying in their own rights, but the fact that we can't see them coming is what elevates them to nightmarish status. As you pick out costumes and plan parties this October, just remember how frightfully unpredictable life in the SCV can be. "The ROBBERIES have usually been quick and shots haven't been fired, but it's a good reminder that you should keep an eye out... even in Valencia." Local politics took a morbid turn in the dog days of summer. It started when Santa Clarita City Councilman Bob Kellar endorsed Jason Gibbs for one of the three council seats that will be decided in November's election. The incumbents who hold those seats are all running, too, and Kellar gets along with them for the most part. But in a statement explaining his endorsement, Kellar implied that he and his colleagues probably shouldn't hold onto power until they're "90." At 74, Kellar is exactly twice as old as Gibbs. A couple weeks after Kellar's remarks, he had a heart attack. The councilman caught the signs of it early, but he didn't call an ambulance. Instead, Bob Kellar and his wife, Kathy, drove four hours to Santa Clarita for treatment - they had been on vacation. Ever the politician, Kellar emphasized how pleased he was with Henry Mayo Newhall Hospital, the Santa Clarita institution that saved his life. He shared that doctors found a 99-percent blockage, so the long drive home was likely far more perilous than he may have realized. Medical emergencies are unpredictable, but Kellar is now recovering well. It's scary selling phones in Santa Clarita, where thieves have been brazenly pulling up to stores and dashing out with stuff. You just can't predict when. On the afternoon of August 1, a man and a woman from Oakland allegedly grabbed merchandise from a Valencia T-Mobile store, drove away and led authorities on a high-speed chase into Gorman before being apprehended. They were found with seven phones, including five iPhones. On the afternoon of August 10, the Verizon store along Bouquet Canyon Road was hit. On the morning of August 8, four men stole computers from the Valencia Town Center Apple Store, and on the evening of August 27, three men stole goods from the same location. The stores targeted by thieves include some of the busiest spots in the whole city. The robberies have usually been quick and shots haven't been fired, but it's a good reminder that you should keep an eye out...even in Valencia. And it's yet another reason to be especially nice to the people working at these phone stores; no one in retail gets paid enough to put up with this nonsense. The Santa Clarita Marathon seems predictable. It's 26.2 miles, the route is available for perusal online and there's even an FAQ if you have questions about the availability of Powerade. It wasn't until I started my marathon training that I learned how much unpredictability comes into play. Will it be rainy and windy or an unseasonably hot November race day? What if there's a line to use the bathrooms at the half-way point? What will happen to my self-esteem if my friend's mom beats my time? Now, there are other options apart from the marathon. You can run a half-marathon, 10K or 5K. The "Mayor's Walk" awards any Claritan who strolls a three-mile course with a t-shirt and finisher's medal. You can always wait at the finish line and get an arm workout by clapping for the marathoners. Or you could stay home, the option with the fewest unpredictable events and consequences to fear. But sometimes, it's better to just keep on running through that dreaded uncertainty. I intend to, and I hope many Claritans will take part in one of the events, appreciating the SCV we heart with every stride. 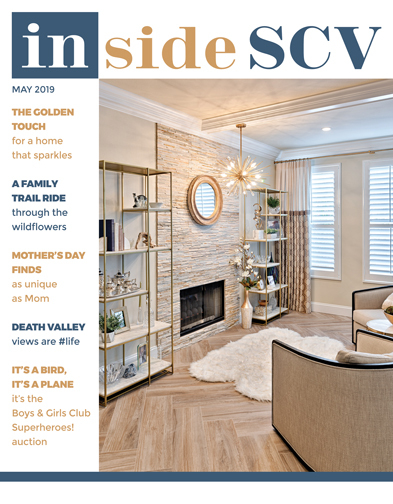 can be e-mailed to iheartscv@insidescv.com.